New West Author Releases Awesome Children’s Book! Updated to add: the contest (see below!) will remain open until December 6th at 5pm! 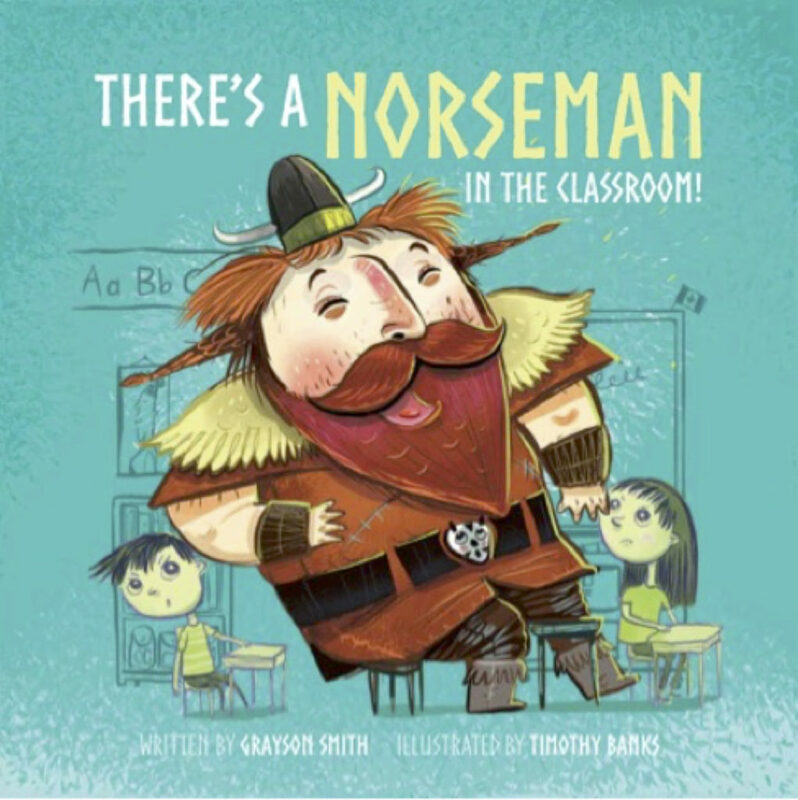 I’m a huge fan of giving books for all gift giving occasions, and I am super thrilled that a local writer, Grayson Smith, is releasing a children’s book right here in New West, called There’s a Norseman in the Classroom! Smith, a Delta Police Department constable, has lived in New Westminster for five years with his growing family. He enjoys New West’s small town feel, walkability, and sense of community connectedness and said his favourite thing to do here is to sit by the big tin soldier outside the River Market and look out on the Fraser with a sandwich and snacks from Donald’s Market, while letting his two active boys run on the boardwalk and through the old ship. His book features a noisy Norseman appearing unexpectedly in a grade two classroom and follows an unusual and unruly student’s introduction to school life. It explores how classroom cultures can be shaped towards acceptance and inclusion. Even better, author and police officer Grayson Smith, is supporting athletes with intellectual disabilities through Special Olympics British Columbia, with $2 donated for every copy sold. Smith pointed out, “It seems that, depending on people’s attitudes, a classroom can develop into a place of either inclusion or exclusion of people who come across differently.” He hopes those who read the book will begin to recognize “Norsemen” in their own lives, and learn to accept those who may be perceived as different. 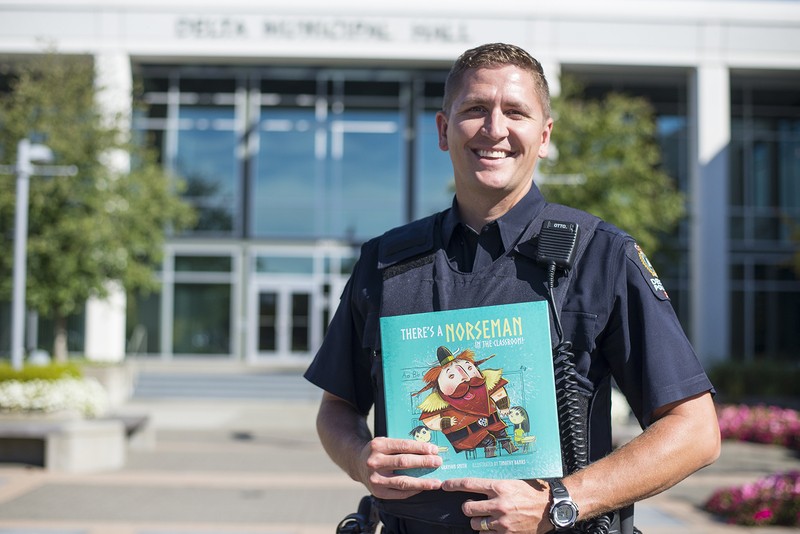 Smith has been a police officer since 2008, and starting writing children’s books as a creative outlet. While putting on a uniform, enforcing laws, and standing in the dark corners, Smith found that writing, especially about the light-hearted, was valuable in maintaining perspective. He started an independent small press, Peppermint Toast Publishing, which focuses on the production of children’s picture books by new and emerging authors, and profit-sharing partnerships with local charities. His colleagues at the detachment are very supportive of his book, as well as in police departments across the lower mainland. A lot of members have kids who have enjoyed the book. “Interestingly, a few officers have chatted with me about their children’s book ideas, so it wouldn’t surprise me if more police officers turn into authors someday,” says Smith. There’s a Norseman in the Classroom! is beautifully illustrated by Timothy Banks, who lives and works in his studio in Charleston, South Carolina. Along with his wife, three daughters, and one crazy pug, he enjoys playing in the backyard, and watching alligators swim by his house. “The truth is, due to my lack of visually artistic skill, I had no idea what the book would look like, ” said Smith. He found Banks on a Hire an Illustrator. “He carried the weight of the visual content for the story, and his insight for what Norm would look like and the way he designed the rest of the illustration to be background for the main action was integral to the book. He was fantastic to work with,” said Smith. 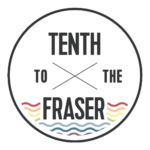 Peppermint Toast Publishing is an independent small press based here in New West. They focus on children’s literature to showcase the talent of authors and illustrators from all walks of life. Beyond the exciting venture of turning scratchings and sketches into published works, they eagerly direct proceeds from each of our books to local charities and non-profit organizations. “These valuable partnerships root Peppermint Toast in an unconventional business approach based on generosity, mutual flourishing, and imagination,” says Smith. The publishing company has, as part of its mandate, a goal to donate proceeds from every book sold to a partner charity. Peppermint Toast gives proceeds on an ongoing basis to BC Children’s Hospital, Canuck Place, JDRF, Victoria Native Friendship Centre, and now Special Olympics BC, depending on the book. These partnerships are established either by matching the content of the book to the charity, or through the author’s relationship with the organization. Smith chose the Special Olympics for Norseman because of his involvement with the Law Enforcement Torch Run for the past several years. The run is a fundraising initiative for the Special Olympics. Smith is lucky enough to have gotten to know a few athletes, and says he is impressed with their drive and athletic abilities. “It was an easy fit to direct proceeds from a book that highlights inclusion despite differences to the Special Olympics,” he said. To officially launch There’s a Norseman in the Classroom!, Peppermint Toast Publishing is hosting a free, family-friendly event with children’s creative programming, an author reading, raffle prizes, and book signings. Books are also available for sale online. All welcome at the event, no registration required. 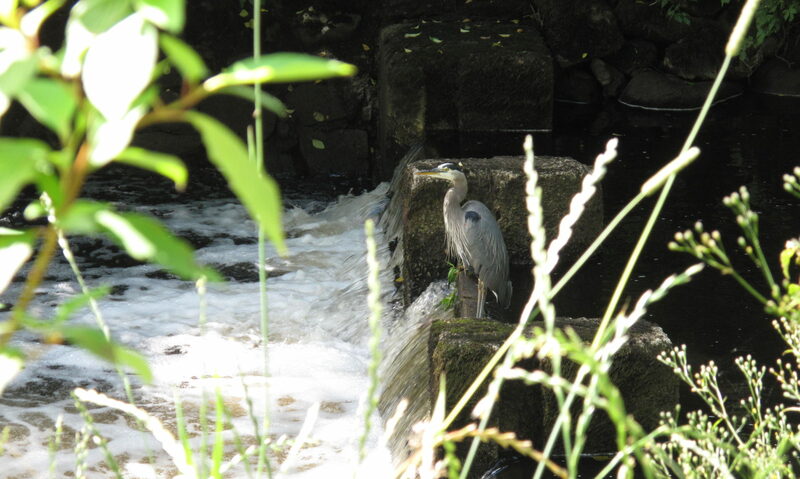 It is Saturday, December 10 from 10:30am to 11:30am at River Market. Peppermint Toast has also offered one lucky Tenth reader a signed copy of this book! To enter to win, simply comment on this post with a favourite book from your childhood. Local winners only – you must be available to pick this book up in New West. Smith says his favourite childhood book was Henry’s Awful Mistake by Robert Quackenbush. Mine was easily Tiger Eyes, by Judy Blume though when I read it now, I don’t have the same reaction. How about you? Comment and be entered to win. I loved the Sesame Street library when I was little. Each book focused on a different letter of the alphabet. Now I love reading them to much niece. My favourite book as a child, one that still brings on many nostalgic feelings, is Where The Wild Things Are by Maurice Sendak. Absolutely love his illustrating style. You are a winner! I’ll email you to arrange for your book! My favourite book was igraine the brave! What an inspiring story! I am also trying to muster up the courage to get my children’s books published. It’s currently just a hobby, much like Mr. Smith. I had so many favourites as a child it’s difficult to pick just one! But one fun one that sticks out in my mind was Bunnicula by James Howe. My favorite book as a child was Little Women. I would love to have the Norseman visit my preschool classroom! I absolutely loved the “Little House on the Prairie” series by Laura Ingalls Wilder and am now sharing it with my two young daughters. I am also a police officer and have thought about writing children’s literature as my “next career”, post-retirement. Very inspiring to hear about Peppermint Toast! Thanks!